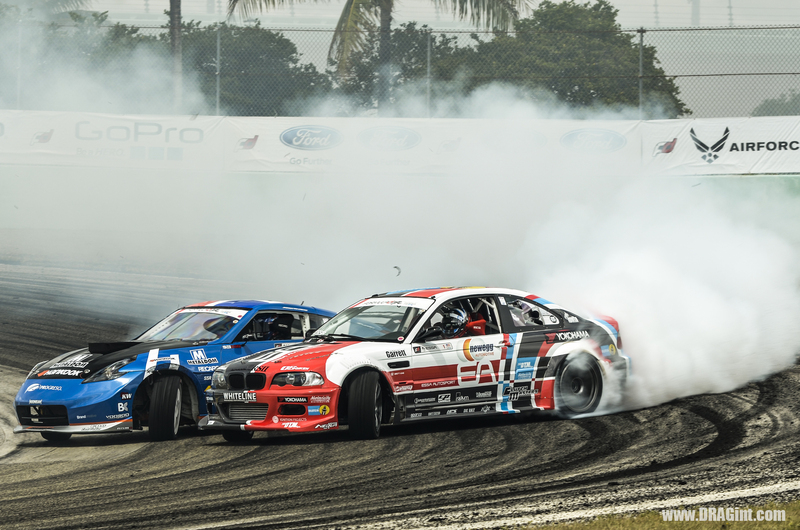 Part 2 of our Formula Drift : Miami Heat story recaps the exciting Inaugural Pro2 Final (Friday) as well as the Top 32 Open Practice from Saturdays Main Event. 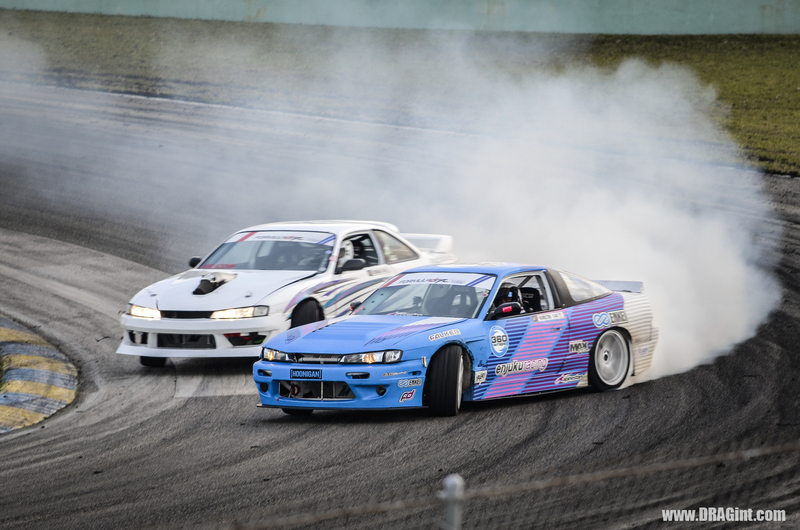 With a noise ordinance in effect the usual friday night spectacle that is the Top 32 Open Practice was early Saturday with a non stop barrage of sideways battles. 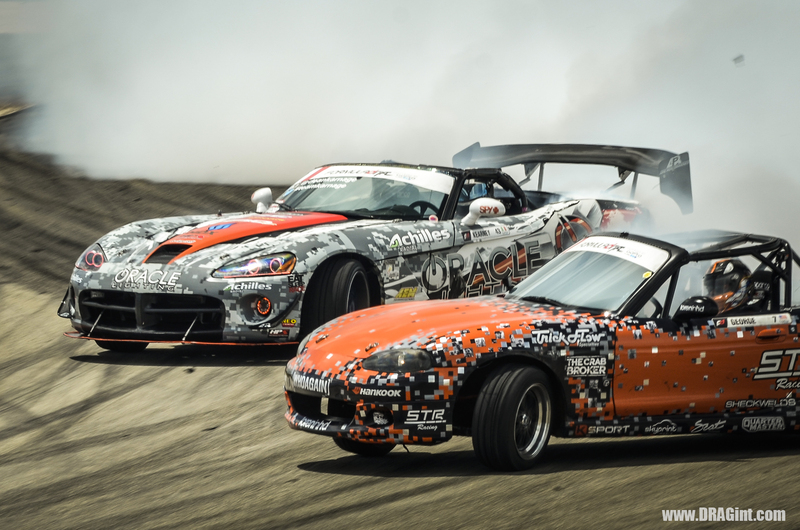 The smoke was hardly cleared on track before another pair blazed the entry. Send it! 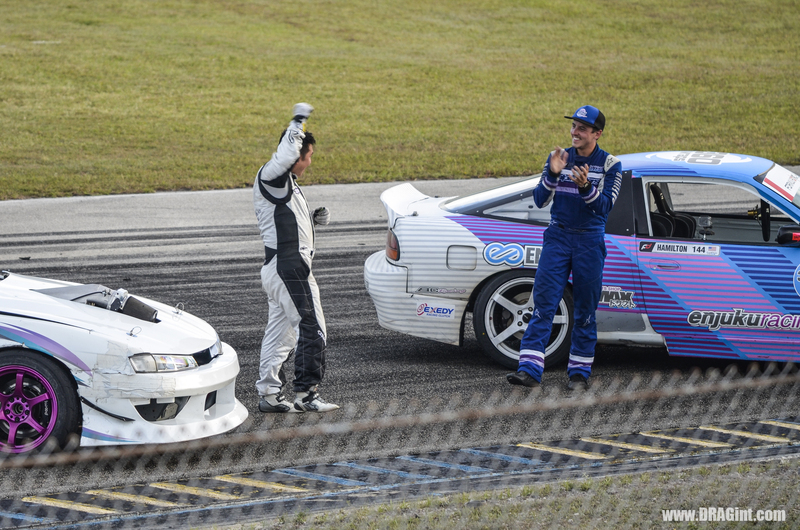 The Pro2 Final was Friday evening and Stoneback who saw action in the Pro group would win in his S14. In collaboration with Discovery Turbo we present to you our coverage of the Pro2 Final and Pro Top 32 Practice! 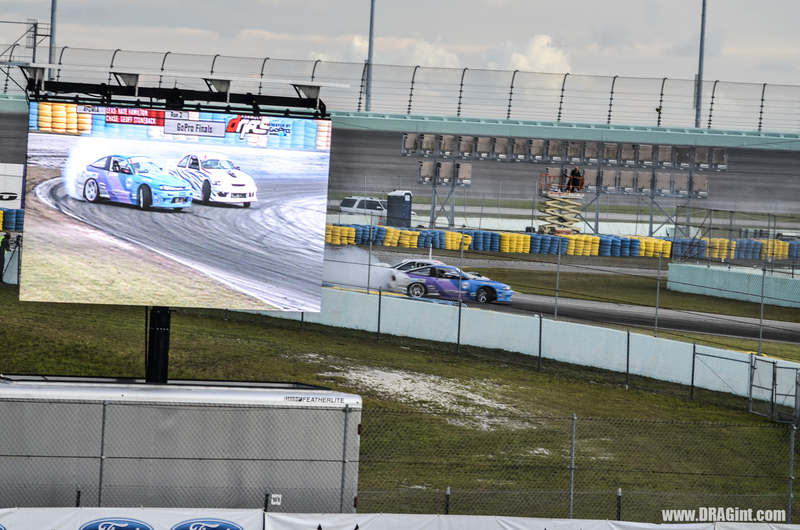 The diehard fans called in sick to work to make the Friday action with the inaugural Pro2 series kickoff and Final. 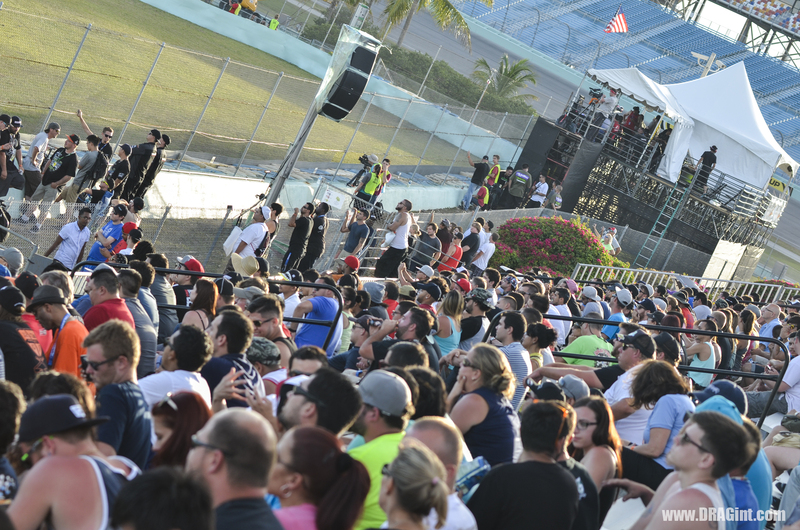 I arrived a little late…here is what I was able to capture from the bleachers – a true fans point of view. 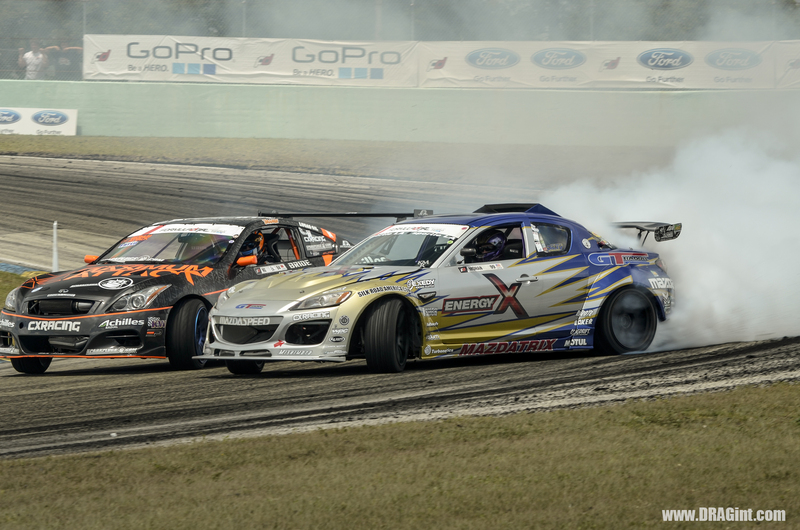 The action was all the way live as the Pro group took to the course with full throttle slides letting it all hang out. Thanks for visiting! 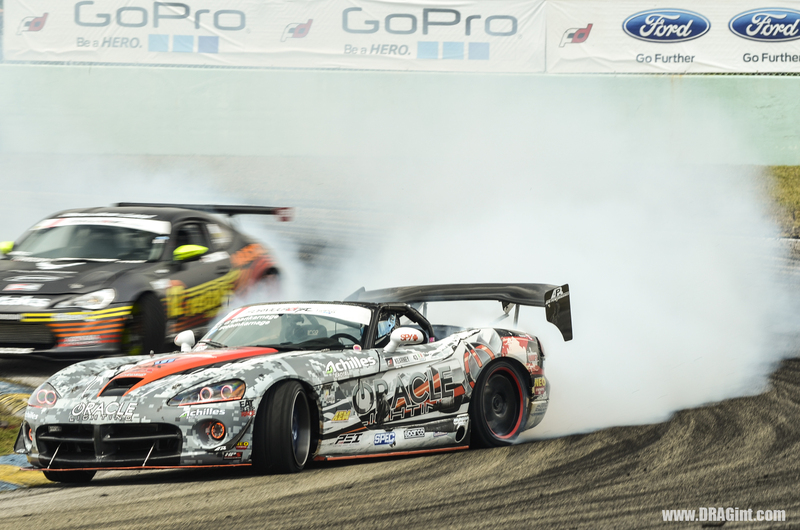 Check out our coverage of the Pro Top 16 Final Battles – Pt 1 and the Offset Kings Car Show – Pt3.